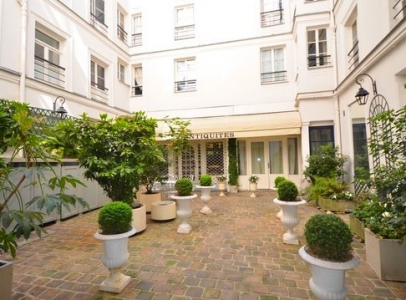 Charming top floor apartment in the centre of Paris, 1st arrondissement/ Louvre – Saint Honore. 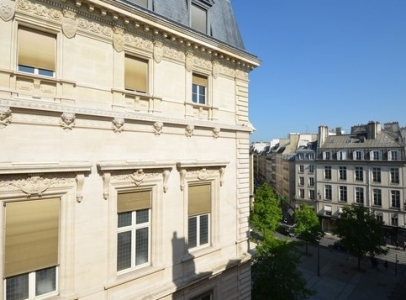 PARIS 1st rue Cambon. 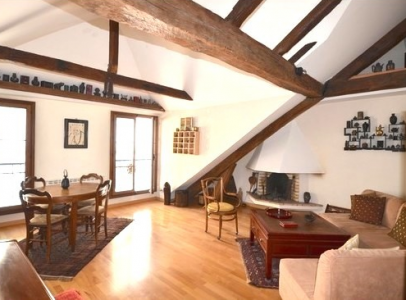 PENTHOUSE with elevator in a beautiful recently renovated freestone building. 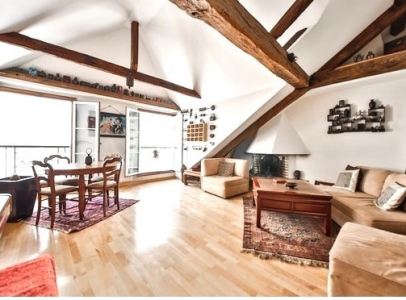 Apartment of 110 m² (88 m² + mezzanine LC). 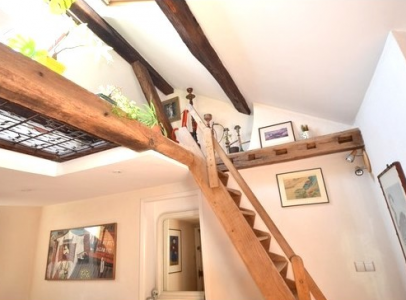 An entrance hall, living on the street, a nice fully equipped kitchen, two bedrooms (street and courtyard), an office, two bathrooms, guest toilet. 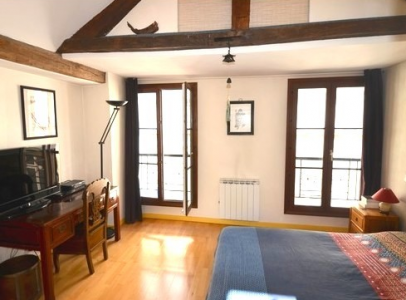 Ideally located in the centre of Paris close to the Jardin des Tuileries and the shops of the famous Rue Saint-Honoré, this apartment offers plenty of charm and character with exposed beams and beautiful ceiling. Bright. A cellar. Low loads. Rare in the neighborhood ! – Living surface : 1184 Sq.Ft. – Surface (Carrez Law) : 957.64 Sq.Ft.